Avoid the January Tax Return Chaos – Automate Your Requests and Reminders to Ease Your Workload. Happy New Year? For many accountancy firms, January is the most hectic time of year. As the January 31st deadline looms, once again your clients are suddenly rushing to provide you with last minute information as they realise they need to get their accounts in order and pay their tax. Every year this happens and the only way to break this is through education and constant reminders and nudges sent to your clients to get the right records, receipts, documents, and information over to you, the accountant. Parkinson’s law is the adage that “work expands so as to fill the time available for its completion”. “A whole year to complete a tax return? I have ages!” they must think. Clients might keep their accounts up-to-date throughout the year, or they may just send you everything in one go and rely on you to do the rest. So how can you have a more peaceful January in 2020? Scare your clients with tales of fines? Encouraging your clients to get their accounts in order earlier and keep them as up-to-date as much as possible all year round is an easy solution, but it might seem like a tough one to manage. Time is money. In fact, time is actually a mindset, but we won’t get all woo woo on you because if you’re in business then time costs you money. Your employees and even you are costing your business money and if the time spent in and on the business isn’t managed efficiently then you’ll be less profitable than you could be. Being more efficient with your time can and does lead to more profit and a stronger business that can grow more easily. When you run an accountancy firm you have so much you need to do on a daily basis. From Tax reminders to securing records and submitting files to HMRC, a day in an accountancy firm is rarely dull or quiet. How often are you sending paperwork or paying someone to do it? Could a CRM and using efficient automation save you time? How many hours do you spend on regular client interactions? A CRM like AccountancyManager helps your firm be more efficient and more profitable. Taking on a new client takes time and many of the accountants we speak to say that the sheer amount of paperwork and correspondence it takes to onboard a new client effectively makes the first few months (or in the worst case, years) non-profitable. Whatever field of professional services you’re in, creating the most efficient practice will be a key goal. And with advances in technology, online working and software automation, accounting is moving closer than ever to the nirvana of the efficient automated cloud practice. By driving efficiency through automation you give yourself choice, and that’s something that many practising accountants don’t have – time or choice in how you work and live your lives. Whether you’re an accountant, bookkeeper or payroll businesses, most of us will have found ourselves up at midnight, sending an email to a client to chase up urgent information that’s missing. 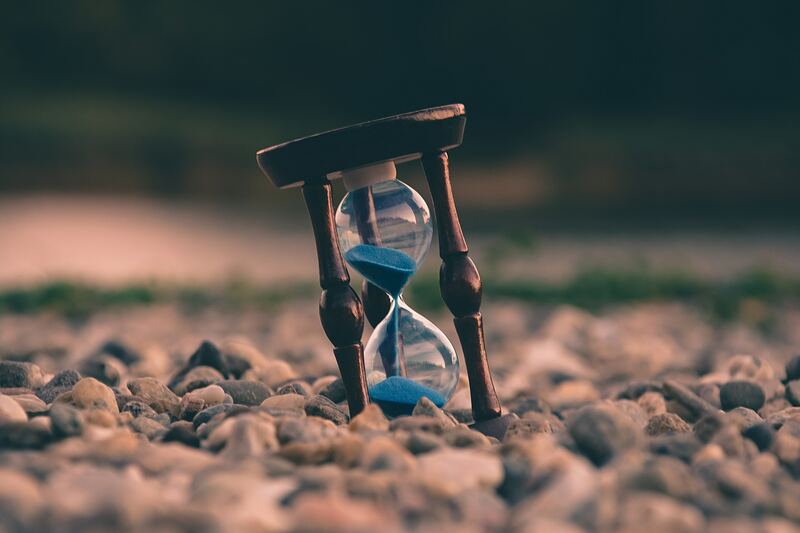 And when deadlines are looming and the clock is ticking, this pushes your resourcing as a firm, and creates an admin headache for everyone in the business. But by having a solution like AccountancyManager as the foundational platform of the firm, and applying all the benefits of software automation, you can stop working late into the night – and get back the time you’ve previously spent with your nose to the admin grindstone. 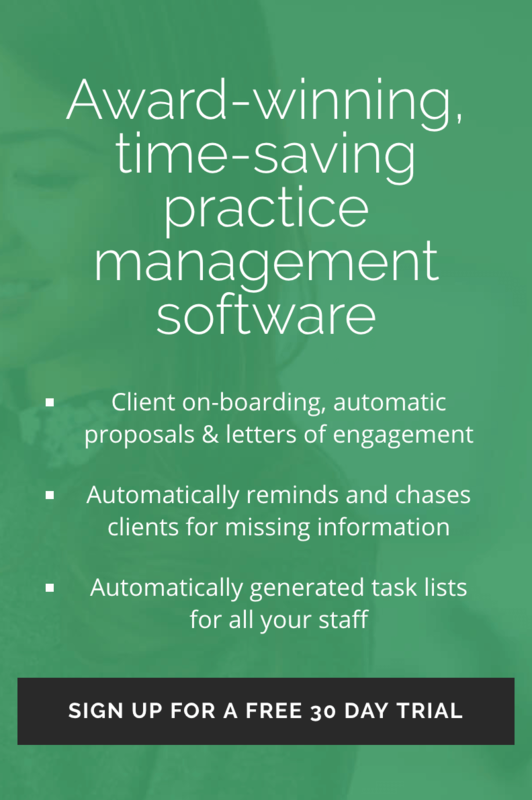 James Byrne, ex-accountant and founder of AccountancyManager, explains just how automation turns around your practice management – saving you time, increasing your profits and giving you more choice around how and when you work. The Software Excellence Awards, presented by AccountingWEB and hosted by Rachel Riley took place alongside the Practice Excellence Awards at The Brewery in London on 19 October. There were over 30 companies that entered the ‘Practice Management’ category, of those, 5 companies were shortlisted. Over 1,000 votes were placed. 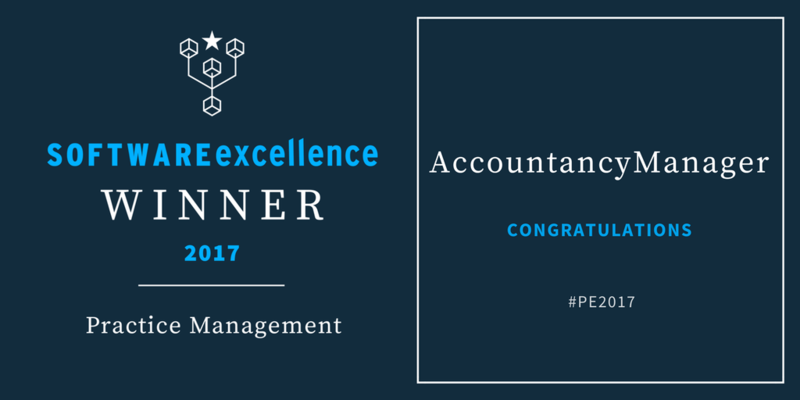 AccountancyManager was among the 5 shortlisted and went on to win the category by achieving the highest customer rating. Thanks go to AccountingWEB for putting on a great event. ©2017-19 AccountancyManager (AM) Ltd. All rights reserved. Registered in England and Wales. No. 10658933.